One of the most influential make up artists in the world, Rae Morris has written the book on beauty (in fact, she’s written several of them…) Having perfected endless famous faces, she turned her hand to creating the most luxurious and effective brushes money can buy – and the results will change the way you apply make up forever. 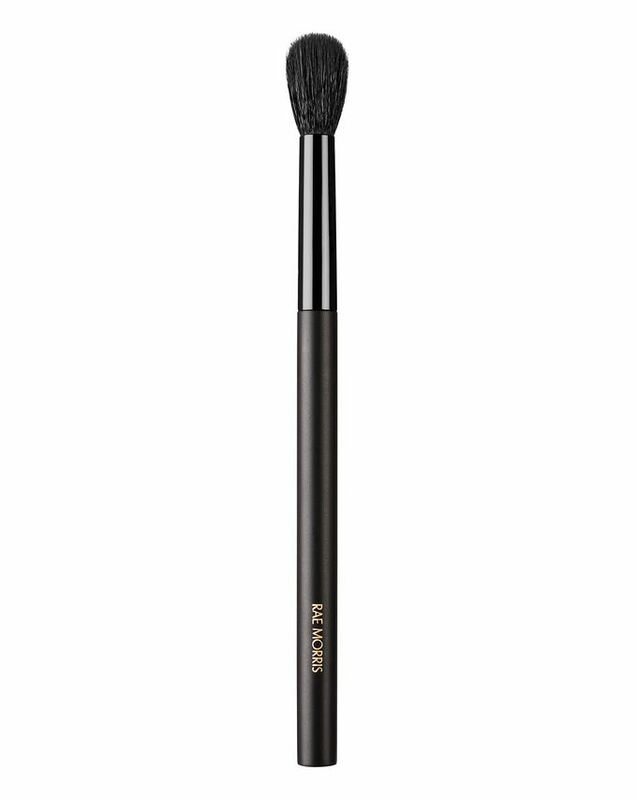 This shading brush is perfect for applying base colour to your lids, or blending your entire eye look. Meticulously crafted by Japanese artisans, the brush features a special rounded head, a super-sleek handle and the brand’s world-first magnetic storage functionality (‘Jishaku’ means magnet in Japanese) for seamless storage and perfect hygiene. From its supremely soft head to its ultra-sleek handle, Rae Morris’ Jishaku brush range will change the way you apply make up forever. Combining the finest Japanese brush-making techniques and Rae Morris’ make up application expertise, this range is the culmination of years of testing and perfecting. 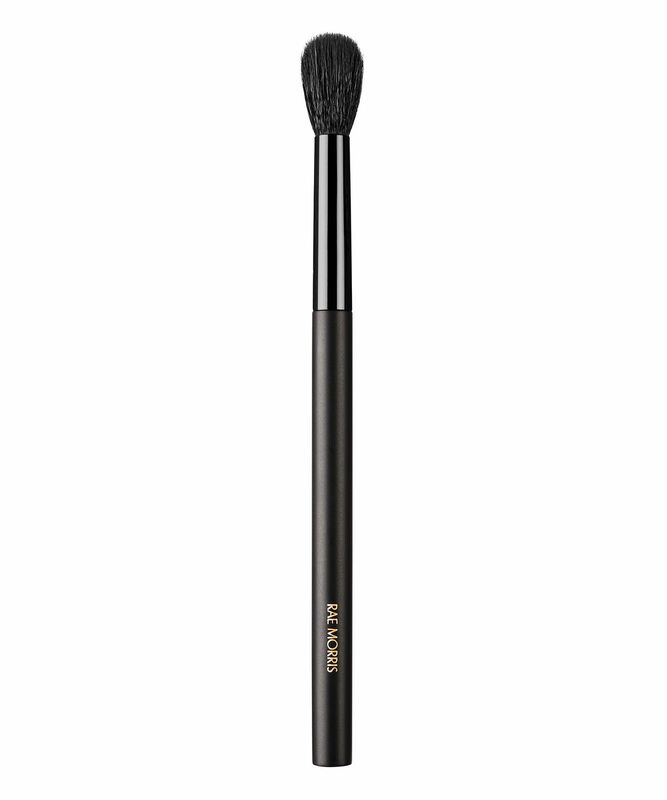 The Jishaku #7.5: Deluxe Round Shader is an essential eye brush to have in your arsenal; it’s great for applying base eyeshadow or a first wash of colour, for quickly shading the whole lid or used as a finishing or blending brush. The longer, subtly tapered head is meticulously crafted from the highest-grade Sohoko goat hair by Japanese artisans (animal cruelty-free and deemed the ‘softest I’ve ever had’ by a discerning Into The Gloss reviewer) while the super-sleek black handle is formed from hard maple and cherry wood. Another standout feature is the brand’s world-first magnetic functionality (‘Jishaku’ means magnet in Japanese) which means that the brushes can stand upright on any surface a magnet will hold to – including Rae Morris’ custom designed magnetic stands – making for seamless storage, ultimate organisation and perfect hygiene. For seamless, smouldering smoky eyes, look no further. Use to apply base colour, quickly shade the whole lid, apply eyeshadow to the areas above the lid or to finish off lid looks. Top tip: After you have completed your eyeshadow look, use this brush with some skin-toned face powder to blend the edges of your shadow. This is the softest brush I've ever used, and I've got a lot of brushes. Don't bother with Zoeva or Morphe. This is all you need for blending or just for a quick colour on the lid. Having said that, I have not tried Hakuhodo or any really luxury brushes like that. I expect an excellent brush but the hair is too firm and sometimes could prick your eyelid. I’m not saying the hair isn’t soft but i’m used to use Hakuhodo and Wayne Goss brushes and they are so much more pleasant to use.